Hello. I have a Cobra replica fitted out with a 351W, stroked to 393 - built by Mike Huddart. Anyway I have been having a few issues with the engine and found you guys on the web, so thought it might be a good idea to stop by and glean any advice that you may have to offer. 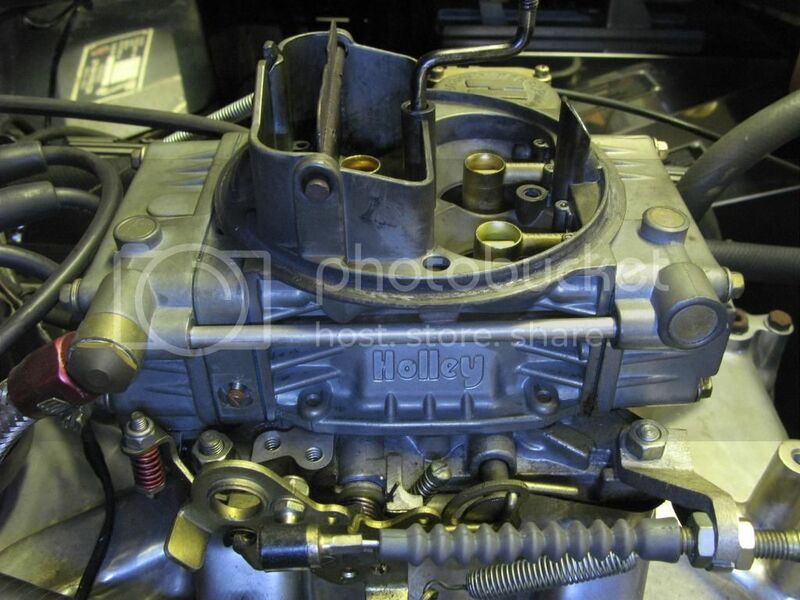 The main issue at the moment seems to be getting the Holley carb (4-Barrel 4160 600CFM) set-up properly. I may also have some issues with the HEI Dizzy but not certain yet. Basically the car is running rich. I may also at some point look to move across to EFI and I'd be very interested to read your experiences when converting/installing. I'd like to know what options are open to me plus typical costs. A 600 is a bid small for the 393 and the 4160 model is crap to begin with as it has no provision for jets in the secondary's (and there are a few other problems) Tuning this carb is very limited. Because of the small size, the vacuum signal will be very high and this will draw to much fuel out of metering plates and jets at idle or a steady rpm. You need a 650 cmf DP to get beter results. You also need a tuning and jet kit. I have one for sale with everything you need if you are interested http://www.fordpower.org.uk/index.php?topic=11020.0 . You also need a rolling road with a good operator to get the best out of it. The HEI dizzy, well, its mostly china stuff. The ford dizzy + a MSD module and coil is a beter option and more reliable. Converting to fuel injection is not a cheap or a easy option but its way beter than the carb. But you are still looking at +/- 1500 and up to get the parts and ecu and also here you need a rolling road with a good operator. Thanks Paul. Very useful gen. All of the numbers stamped on my carb suggest a 4160 600CFM, though previous owner clams a 670CFM Street Avenger was spec'd for the car! There should be a list number on the carb. Do you have a picture of the carb? Interestingly I chatted to the previous owner last night and he confirmed that when he was having starting issues, the workshop swapped over his 670CFM Avenger for the 600CFM, just to make sure it wasn't a faulty carb (which it wasn't)...Then forgot to swap it back - And he's only just realised now that I questionned what was actually fitted. Two years later I'm kinda stuffed I think. I may give the garage a call but don't expect they can do anything about it now. Though at the time they said that the 600CFM should run just fine. And I have to say that under hard acceleration it goes like stink. It's when cruising that it all feels a bit juddery. That's a elcheapo 600 cmf 4160 type holley replacement carb. It runs nice on a stock small block, but it has no place on your engine and its hard to tune without poring money into. The swapped a 670CFM Avenger for the 600CFM 4160 type and forgot to swap it back? Ya right. They are still laughing there paints off and already sold that carb for $$$$ as these carbs start at $400 and go into the $600.- depending on the spec. Most problems are caused by the ignition. Everything needs to in good order and the timing must be right. 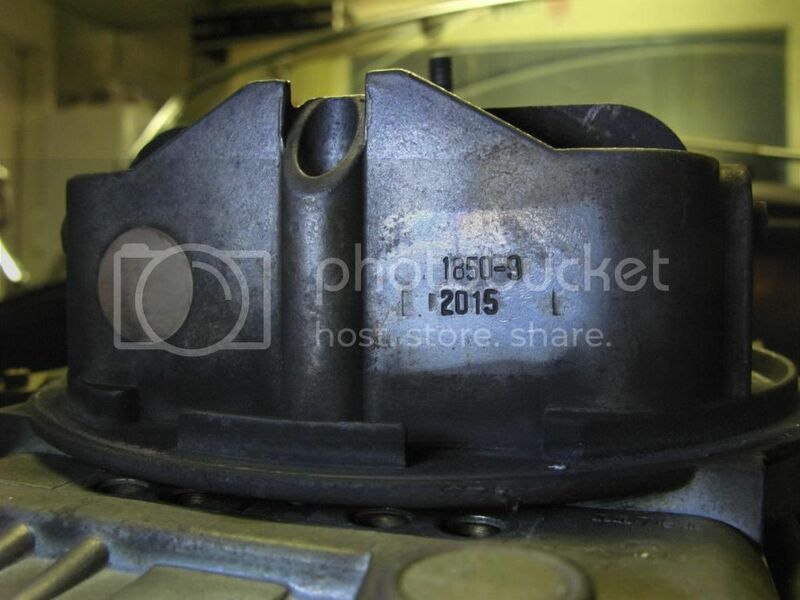 For the carb running rich, check the fuel bowl level and check for sticky needles first. 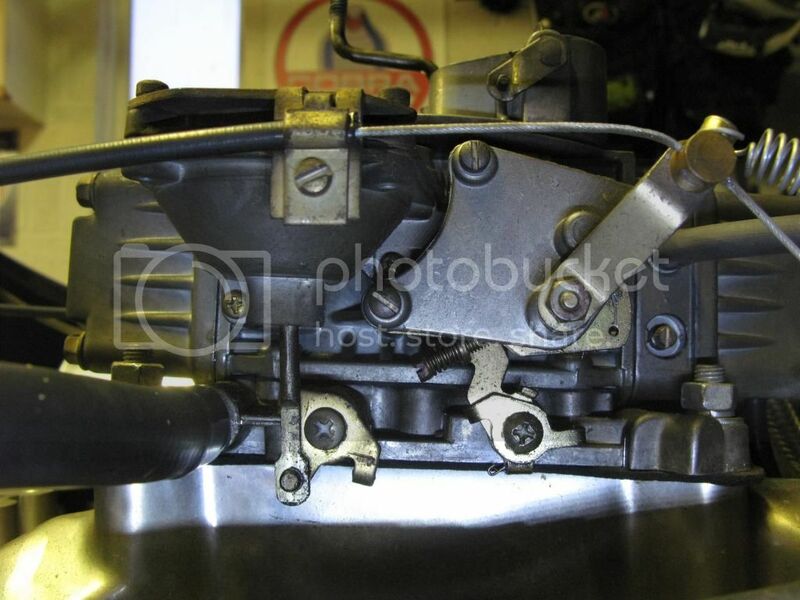 ...For the carb running rich, check the fuel bowl level and check for sticky needles first. Can't do that Paul as no access to bowls on this carb. See pics below. To overcome that possibility I fitted a regulator and set it to 6psi. This 4160 carb is really to lowest spec you can get. 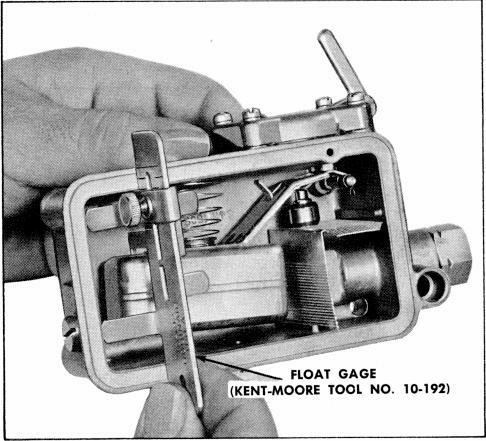 They still can be adjusted, but you need to take the bowls of the carb and you just have to do it by bending the float arms like a number of other carburetors. A fuel pressure of 6 psi is on the high side. I would go a bid lower at 4.5 to 5 psi. 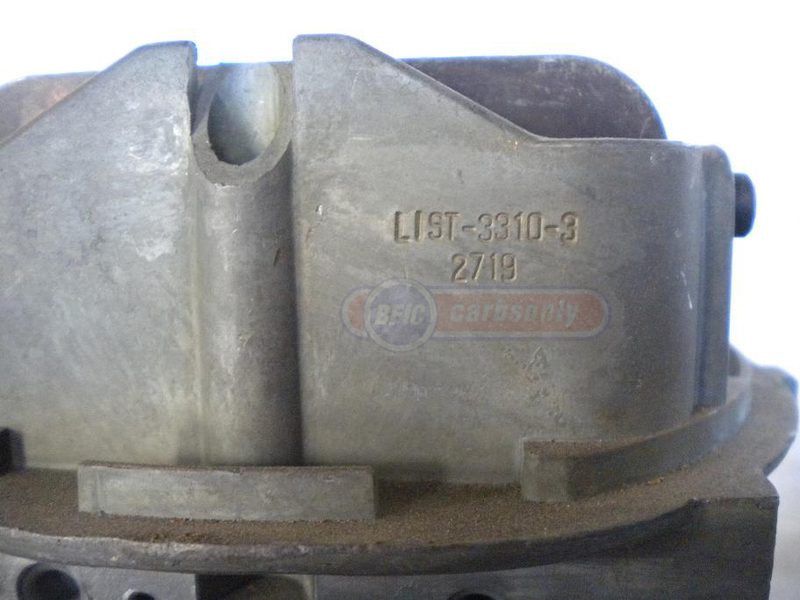 But these carbs really have no place on your 393. Well thanks for the kind advice Paul. It was worth me signing up just for that. I am seriously thinking about moving to EFI, so until then will probably have someone take a quick look at the Holley just to see if anything else can be squeezed out of it. Probably best that I post a separate thread to ask about recommended UK Fuel Injection specialists. The big advantage of the ford small block v8 is that all parts for a efi are easy to get. And it runs so much beter. But I most say, even here, you need a good rolling road and operator to set it up. Here is a picture of my conversion of my 427 dart to efi. Interesting view of your HT wire management. It has a edis setup. Don't get fooled by the fancy color of the HT leads. They are ford motorsport HT leads made by motorcraft. They are 1 of the best leads you can get and are cheap. I just modified them to work with a edis coil. They are 9 mm compared to the 7 or 8 mm stock leads.